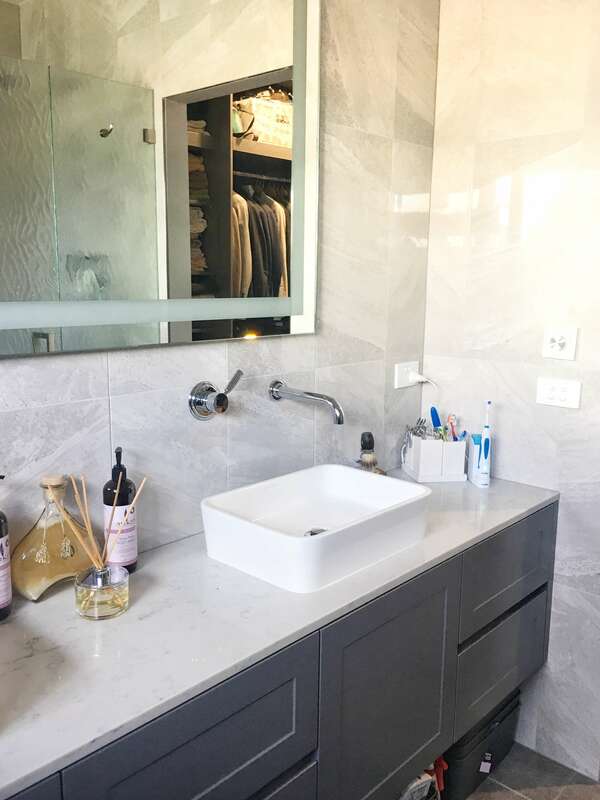 The bathroom and ensuite in this renovation in Campbell is decorated in varying grey tones and a white stone vanity top. This bathroom and ensuite are part of a home renovation in Campbell. The kitchen and the master bedroom was also renovated with the ensuite added to the master bedroom. The rest of the house was repainted. 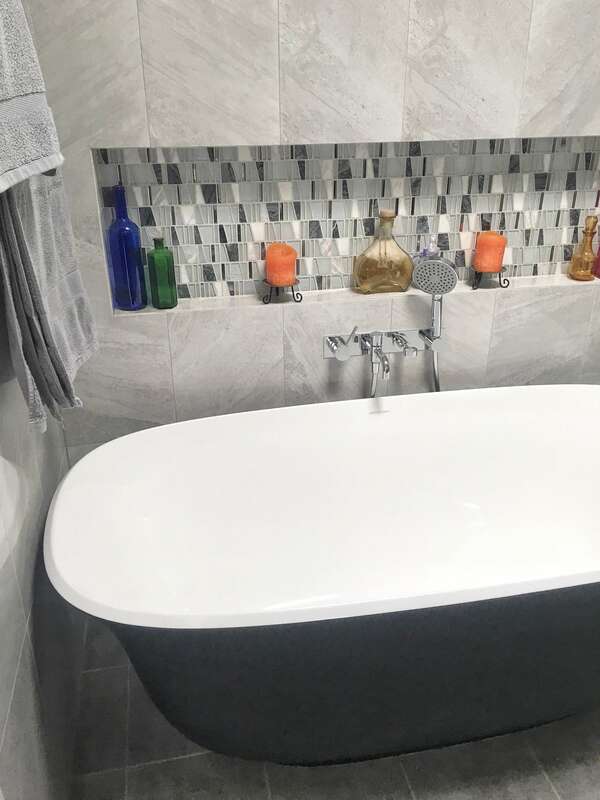 The bathroom was redesigned and decorated in grey floor and wall tiles, a grey vanity and white stone vanity top. A feature tile was selected by the client for the recess above the bath. 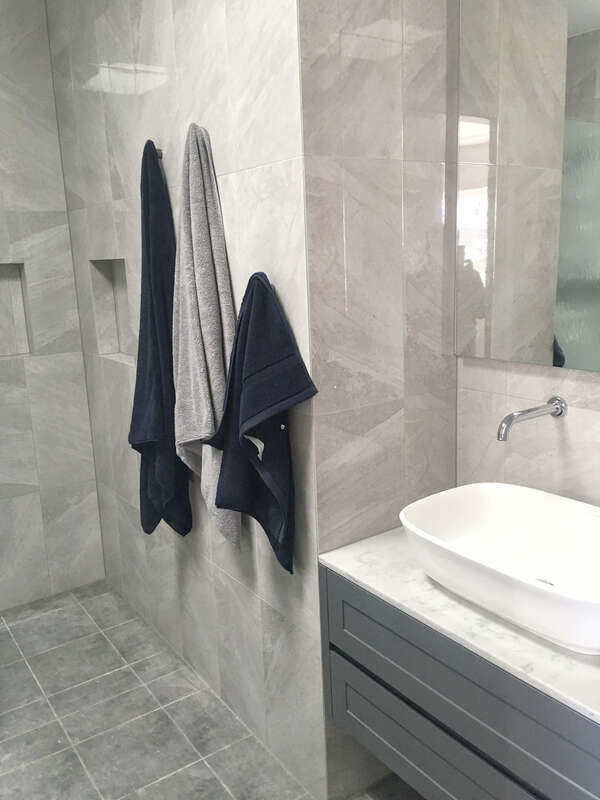 The ensuite was decorated with grey toned tiles on the floor and walls and a white stone vanity top with pale grey veins completes the look. The floor tiles in both rooms are in Templar Charcoal, wall tiles are Trek Sandstone Grey, both from Beaumont Tiles. 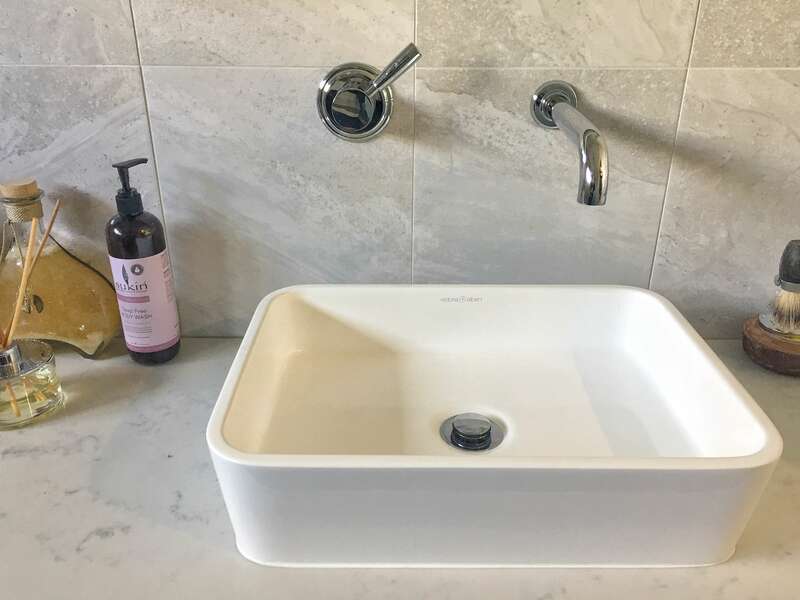 The vanity top is Smartstone Athena and the vanity is in Laminex Gunmetal.